A business has many priorities. With so much on your mind, your phone system might be something that you haven’t thought about in a while. Perhaps you have a few phone lines or a trunk that connect to an internal system like a private branch exchange (PBX). It seems to do the job, but are there modern alternatives out there that might help your business be more productive? 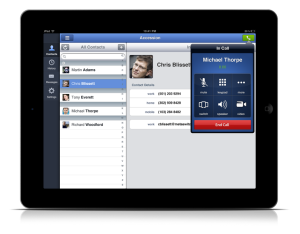 For many years, ISG Technology engineers have designed and installed customized on-site sophisticated phone systems with advanced features, such as video conferencing and collaboration tools. But those solutions can require relatively large up-front investments in equipment, which doesn’t work for every business. Now, ISG Technology is also offering an impressive array of communication capabilities to businesses using Voice over IP (VoIP) technology and a cloud-based Hosted Voice service. Register to view an informative white paper to help you understand your hosted options and make the best choice for your business.